The world of the professional academia is one that is made of perilous highs and devastating lows. Pressure by peers, tension from within and the constant feeling of inadequacy can take their toll (not to mention the pressure from your family to get a real job). So do you sit idly by and let these pressures over take your life? Or forge on, no matter what? 'Anywhere Else' follows Noa as her position studying untranslatable words at her university comes into question, and she returns home, leaving behind her boyfriend in Berlin. Back in Israel, family life takes hold again as her grandmother falls ill. Pressures to date the "cute and successful" doctor, eat properly and say the right things are all incredibly stifling for Noa, having escaped to Berlin for her research and heart. Now she must deal with her own state of mind, and that of her family’s. It isn’t often that I don’t feel any empathy for a character that has been through and is suffering from mental illness, but I found it incredibly hard to connect. Maybe this is a directional devise in order to distance her from the audience or to make them empathise with her family and boyfriend more, but I would rather care about the protagonist than be forced to dislike them. The pace of ‘Anywhere Else’ is also far too slow. There is only so much of watching someone lay in bed that I can stand, and yes I understand that laying and sleeping is definitely a symptom of the psychopharmacologic drugs she is on, and her condition. But when you’re forced to not like her, you find yourself just wishing she would get up. While the pace was a little off and the protagonist hard to engage with, ‘Anywhere Else’ did provide a fascinating insight into Jewish family life, especially when the German boyfriend is revealed (that could have been an interesting film plot in itself). It might have just been me, but because I struggled to engage with this film, its title described exactly where I wanted to be. 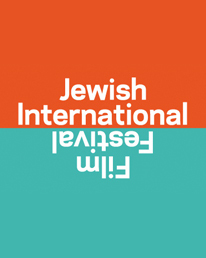 The 'Jewish International Film Festival 2014' competition has now closed. Winners will be announced shortly. Competition opens at 6pm AEDT on Tuesday 28th October 2014 and closes at 11:59pm AEDT on Monday 3rd November 2014. Five winners will be chosen at random on Tuesday 4th November 2014. To successfully win, entrants must fulfil the above entry conditions before the time the competition closes. Current members/followers are eligible to enter the competition. Only one entry per person. Only one winner per household. To be a valid winner, the entrant must not have won a prize from SWITCH within the last 28 days. Each winner will receive one double pass to the Jewish International Film Festival 2014. By entering, you agree to receive occasional emails from SWITCH in the future. If you decide to unsubscribe from these updates, any further entries will not be applicable. Only Australian residents are eligible to enter.